With great talent, comes great responsibility. Projected as a first round draft pick in the 2019 NBA Draft, Andrew Nembhard is being thrust into a starting role on the varsity basketball squad at one of the NCAA’s most prestigious schools, all at the age of 18. The Aurora native, who attended Vaughan Secondary School through his first two years of high school, was chosen by coaching staff last week to run in the starting point guard position when the Florida Gators open their season against Florida State in a few weeks’ time. Known for his slick passing, Nembhard’s gift for assists should reward a shot-heavy Gators team that went 21 – 13 overall last year, making the second round of the NCAA March Madness tournament. 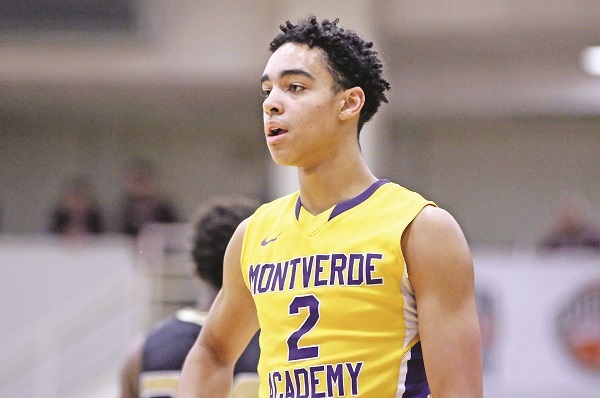 Putting aside the fact that he has spent the last three seasons with Florida’s Montverde Academy, when asked why he chose the Gators over other schools he was highly recruited for, Nembhard said it was the coaching staff that stood out. At six-foot-five, Nembhard stands tall for a point guard, something he said should work to his advantage to be able to “see over the defense.” As for being thrust into the spotlight as a freshman, he is taking it all in stride.